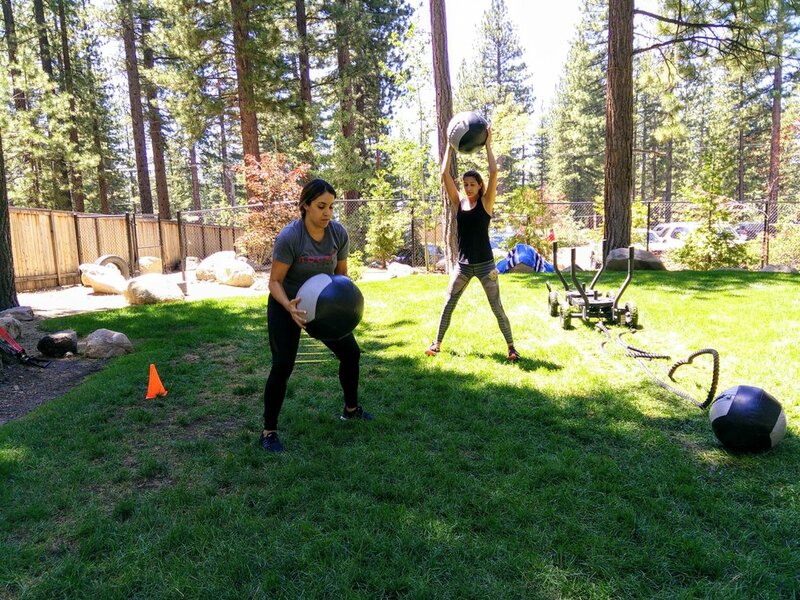 Join us in our one-of-a-kind outdoor training facility! 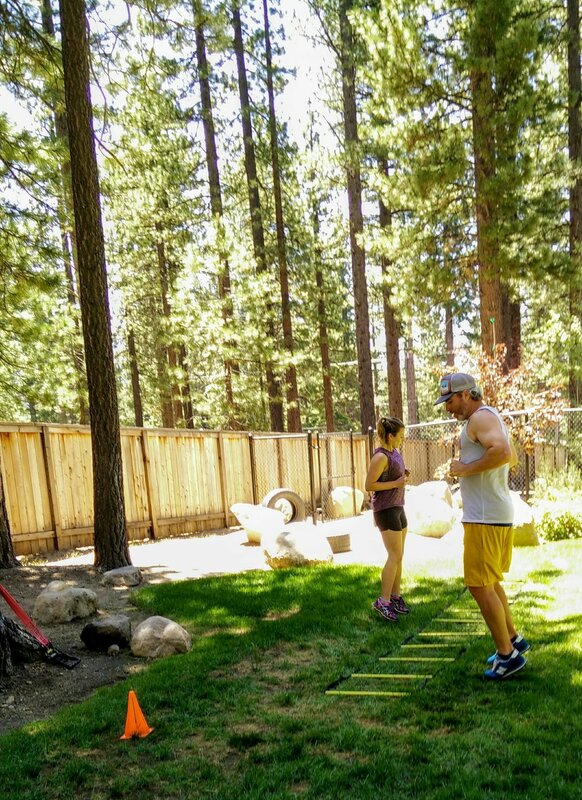 Nothing beats working out under the towering pines and feeling the warmth of the sierra sunshine. Take a stroll, or a sprint through our meandering "track" better yet, join us on the lawn for a serene yoga class. Weather dependent and typically open for classes and training May - September! Check our group fitness class schedule to see our offerings!